TubeNet • View topic - Tennessee Soybean Festival...!?!? I had never heard of the "Tennessee Soybean Festival". Seemingly, it's a pretty big deal for a quarter century, with events that last for a month. Martin is a really safe place to take your family/kids/etc., with half the chance of being a victim of violent crime compared to the average of the entire State of Tennessee. Oddly, our concert is slated for a weeknight: Wednesday, Sept. 5th at 7:30 P.M.
Just fwiw, I will be dragging out the cimbasso for a couple of the pops things: probably the "Big Apple" and "Rocky" medleys. 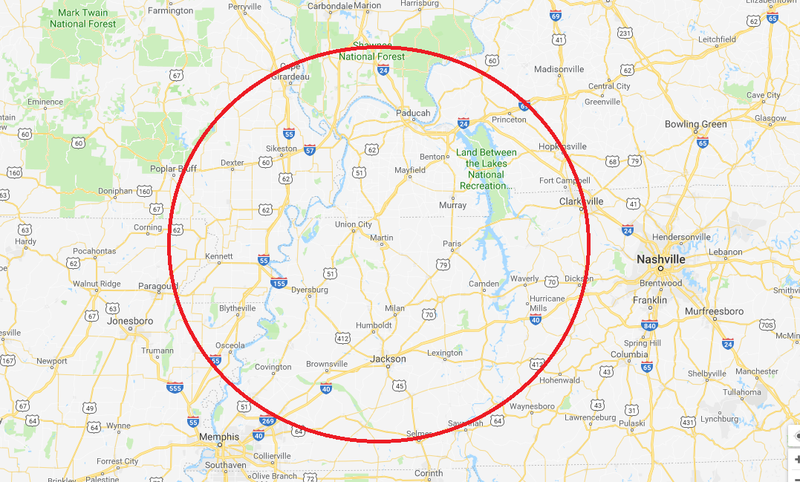 The circle shows an approximate 1-1/2 hour drive to Martin, Tennessee (very near the Kentucky border). Within the 1-1/2 hour circle are suburban Memphis and suburban Nashville, as are Clarksville/Fort Campbell, and Murray, Kentucky. The Selmer/Corinth (TN/MS) area as at the bottom of the 1-1/2 hr. circle. The Land Between The Lakes area is apparent on the map. It might be a nice family outing. The Monkees recommend you take the Last Train to Clarksville. I've always enjoyed the out in the country festivals - especially the ones with operating steam threshing machines and hit and miss engines. tofu wrote: The Monkees recommend you take the Last Train to Clarksville. yep...That was a Vietnam War era protest song (sneaked into their repertoire with softened lyrics, and which immediately rocketed to #1 on the charts) with obvious references to a draftee shipping out from Fort Campbell. I'm thinking that train service to Clarksville, TN (probably, Louisville & Nashville Railroad...??) ended about a year before the song was released. tofu wrote: I've always enjoyed the out in the country festivals - especially the ones with operating steam threshing machines and hit and miss engines. bloke "We just got a Dollar General store last month, and I'm not really sure how I feel about that." of on yet ANOTHER tangent...topic: "Vietnam War protest songs"
The song, "American Woman" (which - and probably few know this - refers to the Statue of Liberty) has been covered several times over the decades. bloke "The best rock music has already been written and recorded." Somewhat recent to the rural scene, I'm sort of amazed by the number of local harvest festivals. The awful summer band I'm in only to keep active - I've been told by many in and out of the group that the band is an excuse for free beer, at all practices and performances - has a "Wheat Festival" and a "schlactfest" on the calendar, schlactfest a German ceremonial tradition observing harvesting of livestock. I think two other now-named "fall festival" performances on the schedule were originally post-harvest parties. 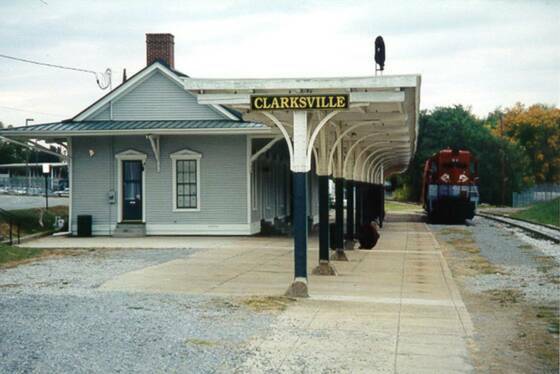 bloke wrote: I'm thinking that train service to Clarksville, TN (probably, Louisville & Nashville Railroad...??) ended about a year before the song was released. Yes, L&N. According to the ever-reliable Wikipedia (not! ), the Clarksville, TN reference was not the original thought, it just worked better with the lyrics, and the Fort Campbell proximity just happened to fit the soft-protest nature of the song. Soybeans nust be more topical and less controversial than Cotton?? Looks like a great gig to me!! 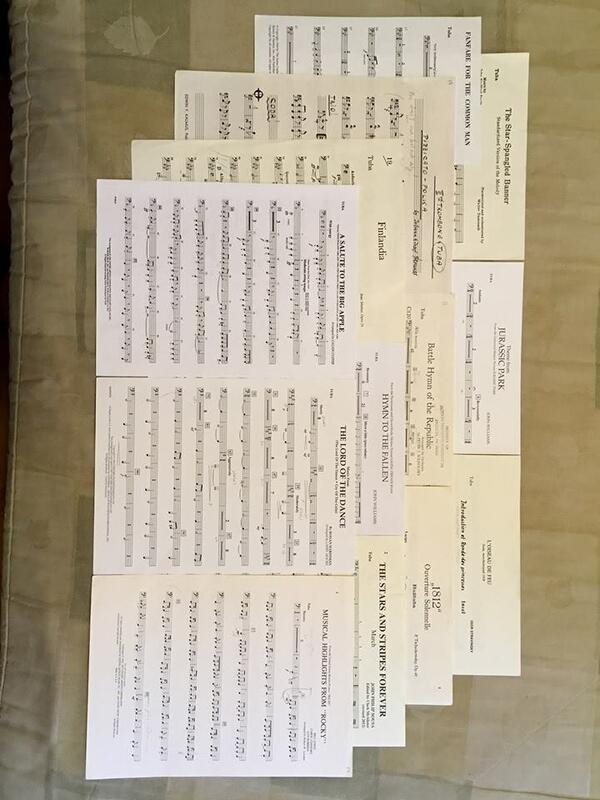 I may even be able to play some of those parts. Three Valves wrote: Soybeans nust be more topical and less controversial than Cotton?? Show up here at blokePlace (or at the Mefus airport, or whatever...I'll pick you up, if you fly in) a day or two or three before the thing, and you can take it easy here, enjoy Mrs. bloke's cooking, and play through some of the charts (plenty of spare tubas, here). I'll bring you up on the stage with me and tell the maestro that you were my teacher at Conservatoire de Paris, that I was your protégé, that you're in the area visiting, and willing to sit in. Of course, I would shuttle you there and back, and make sure you get in the chow lines. bloke "You think I'm kidding, don't you...??" ...and cotton is just fine, thanks. I'd say it was more of an obscure reference. Generally Vietnam War protests were pretty clear in their message, whether on the street or in song. If no one gets the message, it's not much of a protest. It will be very interesting to see if, how, and when soybean farmers protest the new tariffs. The Soybean Festival could be an interesting place to be. yeah...If you research it a little bit (easy to find with google) you'll see that the lyrics were watered down prior to the recording session.